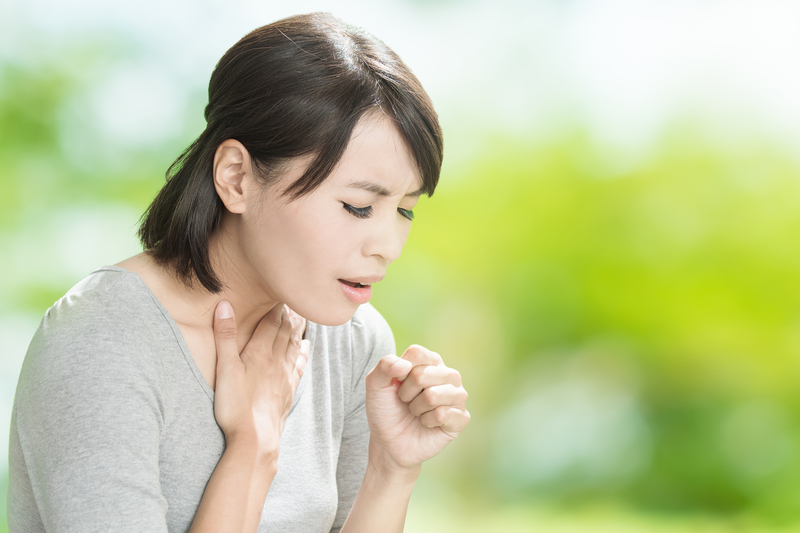 Asthma is a respiratory disease characterized by chronic airway inflammation. The inflamed airways swell, tighten, and produce excess mucus, causing difficulties in breathing. An asthma attack occurs when asthma symptoms suddenly worsen, causing the airways to swell and mucus is thicker than usual. Most people with asthma do not need to use a nebulizer in their routine. However, a nebulizer is recommended for the delivery of high-dose medication for acute severe asthma in extremely ill patients. 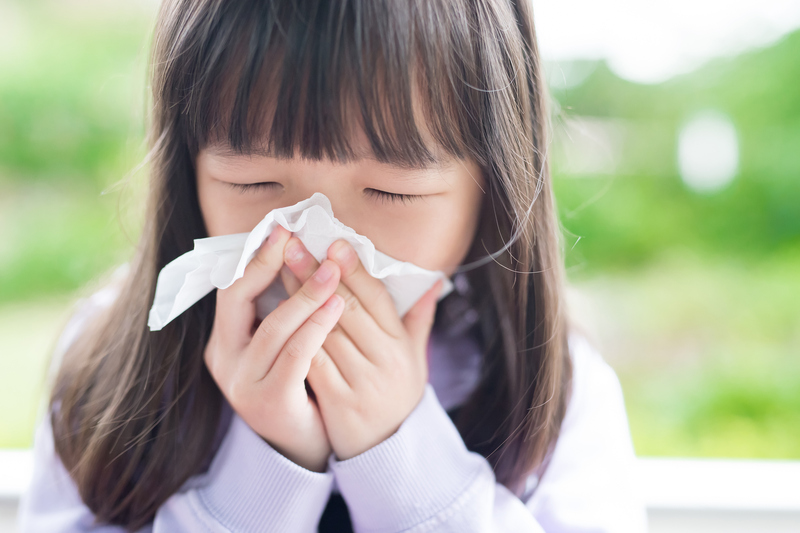 Compared to an inhaler, a nebulizer might also be an easier option for children who aren't old enough to properly use inhalers or adults with difficult-to-control asthma and frequent severe attacks. Chronic obstructive pulmonary disease (COPD) is a progressive lung disease mainly caused by smoking. There is no cure for COPD but symptoms can be controlled to further prevent lung damage. The best prevention against COPD is to not smoke. It is characterized by persistent respiratory symptoms and airflow limitation. The airflow limitation is caused by a combination of small airways disease like emphysema (damaged air sacs in the lung), chronic bronchitis and refractory (non-reversible) asthma. Although patients with COPD are considered to have irreversible bronchoconstriction, most show some reversibility with high-dose bronchodilators. 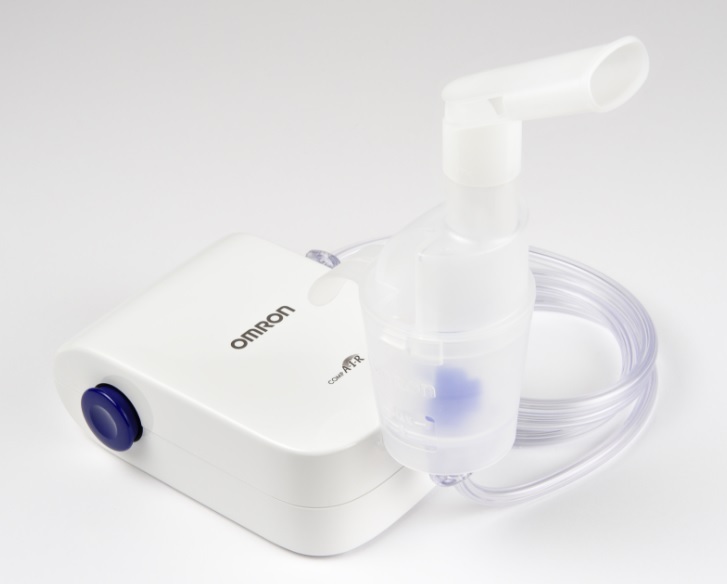 Therefore, air-driven nebulizers are used frequently in the treatment of acute flare-up and to avoid worsening of COPD. 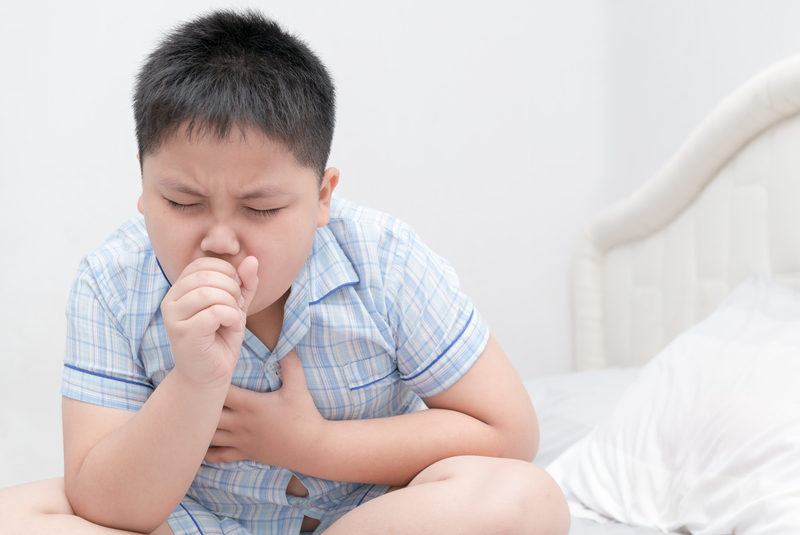 Bronchiolitis is a condition in which the bronchioles – the smallest airways in the lungs – swell and become inflamed due to a viral infection. It is common amongst babies and could increase the likelihood of developing asthma later in life. Bronchiolitis should not be confused with bronchitis, inflammation of bronchial tubes. A nebulizer may be used in special circumstances in bronchiolitis according to your healthcare provider recommendation. Cystic fibrosis a progressive, genetic disease that affects the body's ability to control the movement of salt and water between cells. This causes mucus to build up in the lungs and digestive system, causing breathing problems and increase the risk of lung infections. 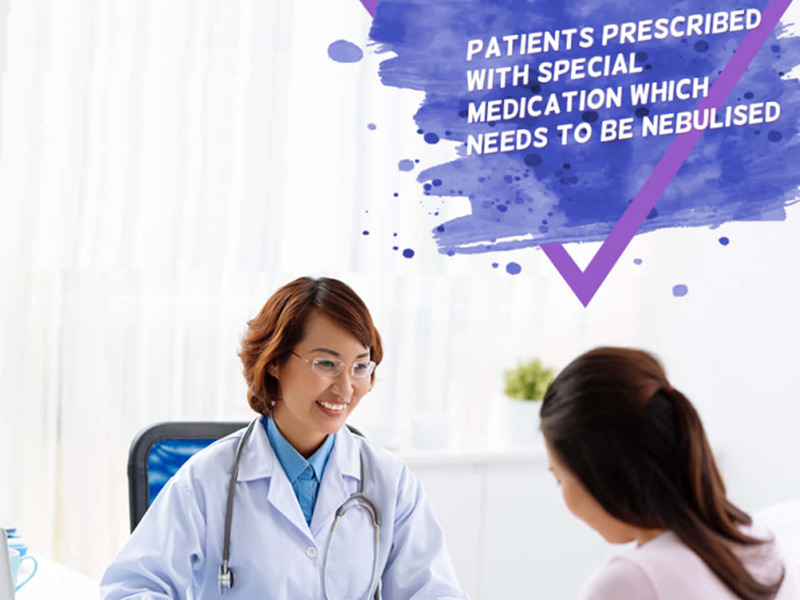 Nebulizers are used to deliver medications to control the build-up of mucus and the progression of other symptoms in people with cystic fibrosis. Nebulizers are used to deliver different types of medication to the lungs of patients with cystic fibrosis such as bronchodilators, corticosteroid and enzyme dornase alfa. The bronchodilator therapy will not only improves airway obstruction but also increases clearance of viscous secretions in the lungs. Regular nebulized antibiotic treatment also reduces the frequency of worsening of infection in people with cystic fibrosis. Sinusitis, also referred to as rhinosinusitis is a condition which refers to the inflammation of the nose and paranasal sinuses. Ultrasonic nebulization of drug with nasal plug in certain forms of rhinosinusitis is reported to show significant improvement in patients' symptoms such as nasal obstruction and facial pain. It is also reported to resolve bacterial infection in 76% of patients given antibiotic using a nebulizer. In a survey conducted among patients who use a nebulizer at home, there was an overwhelming report that the benefits of using a nebulizer outweighed potential disadvantages. 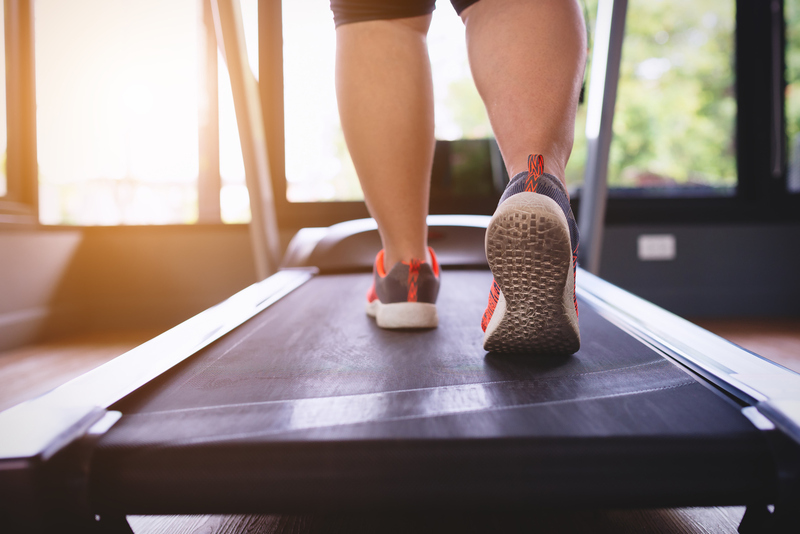 The main perceived advantages were the ability for patients themselves to control symptoms and to be less dependent on their healthcare provider. Nebulizers are particularly helpful in managing chronic lung disease in the community with benefit to patient well-being and potential health cost savings.